Box of 2 Strips, 10 tablets each. Bottles of 60,100 or 120 ml each. - Antibacterial: two tablets (800mg sulfamethoxazole, 160mg trimethoprim) every twelve hours. - Toxoplasmosis: two tablets once a day (prophylaxis). - Infants up to 2 months of age: Use is not recommended. - Up 1045kg of body weight: 20mg of sulfamethoxazole and 4 to 6mg trimethoprim per kg of body weight every twelve hours. Urinary Tract Infections: Co – Trimoxazole is used for the treatment of urinary tract infections due to susceptible strains of the following organisms: Escherichia coli, Klebsiella species, Enterobacter species, Morganella morganii, Proteus mirabilis, and Proteus vulgaris. It is recommended that initial episodes of uncomplicated urinary tract infections be treated with a single effective antibacterial agent rather than the combination. Acute Otitis Media: Co – Trimoxazole is used for the treatment of acute otitis media in pediatric patients due to susceptible strains of Streptococcus pneumoniae or Haemophilus influenzae when, in the judgment of the physician, Co-Trimoxazole offers some advantage over the use of other antimicrobial agents. To date, there is limited data on the safety of repeated use of Co-Trimoxazole in pediatric patients under two years of age. Co-Trimoxazole is not indicated for prophylactic or prolonged administration in otitis media at any age. Acute Exacerbations of Chronic Bronchitis in Adults: Co – Trimoxazole is used for the treatment of acute exacerbations of chronic bronchitis due to susceptible strains of Streptococcus pneumoniae or Haemophilus influenzae when, in the judgment of the physician, Co-Trimoxazole offers some advantage over the use of a single antimicrobial agent. Travelers’ Diarrhea in Adults: Co – Trimoxazole is used for the treatment of travelers’ diarrhea due to susceptible strains of enterotoxigenic E. coli. Shigellosis: Co – Trimoxazole is used for the treatment of enteritis caused by susceptible strains of Shigella flexneri and Shigella sonnei when antibacterial therapy is indicated. 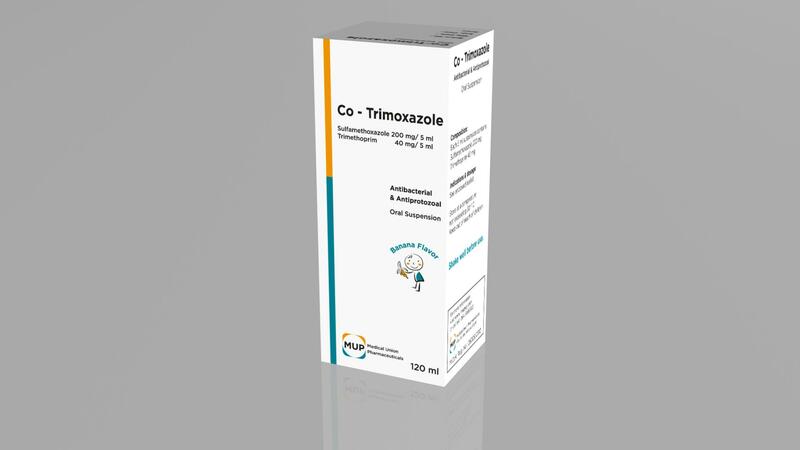 Pneumocystis Carinii Pneumonia: Co – Trimoxazole is used for the treatment of documented Pneumocystis carinii pneumonia. For prophylaxis against Pneumocystis carinii pneumonia in individuals who are immunosuppressed and considered to be at an increased risk of developing Pneumocystis carinii pneumonia.